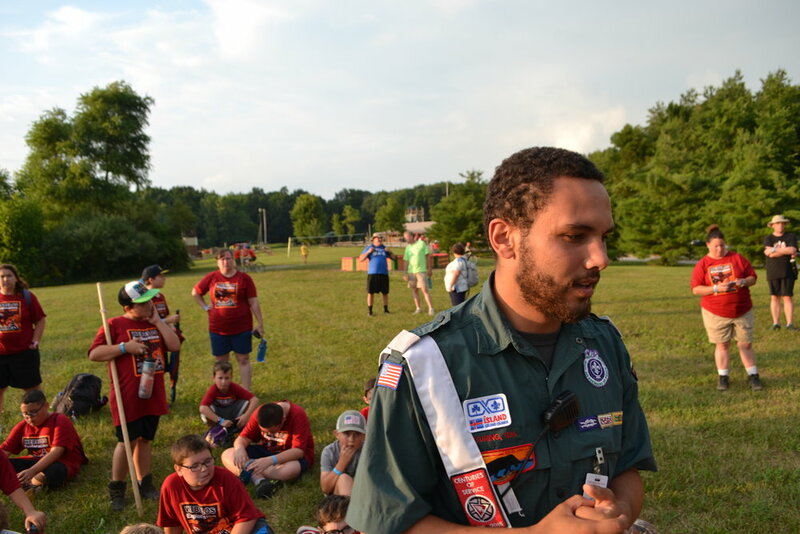 Note that due to a change in National policy, any adult staying more than 72-hours (non-consecutive) at camp must be both registered as an Adult Leader in Scouting, AND have completed Youth Protection Training prior to arriving at camp. 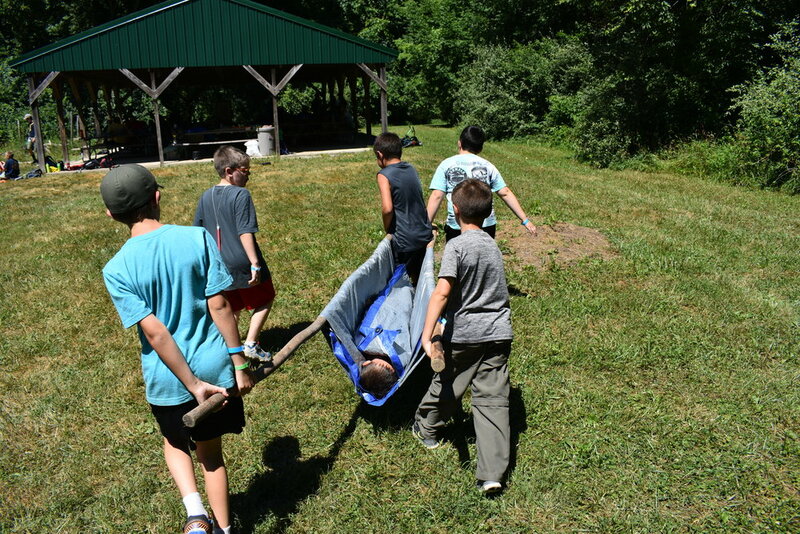 Webelos Exploration Camp is longer than 72-hours in total. Safety of our campers is of paramount importance. We’re giving away a free week of camp each month! March: FREE Candy or Ice Cream Coupon - When we visit your Pack for a Camp Promo, every Scout can earn a coupon for a free candy or ice cream at our Trading Post this summer! S’more Scouts Club - When your Pack brings a majority of their Scouts to camp, you earn a patch and party supplies at camp! 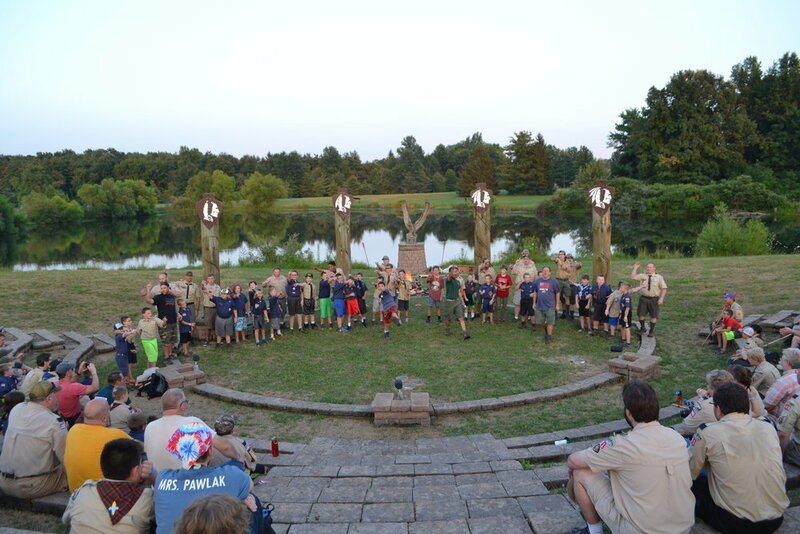 Webelos Exploration Camp is the premier summer camp destination for Webelos and Arrow of Light Scouts. Learn important Scouting Skills, with a S.T.E.M. (Science, Technology, Engineering, & Mathematics) twist! 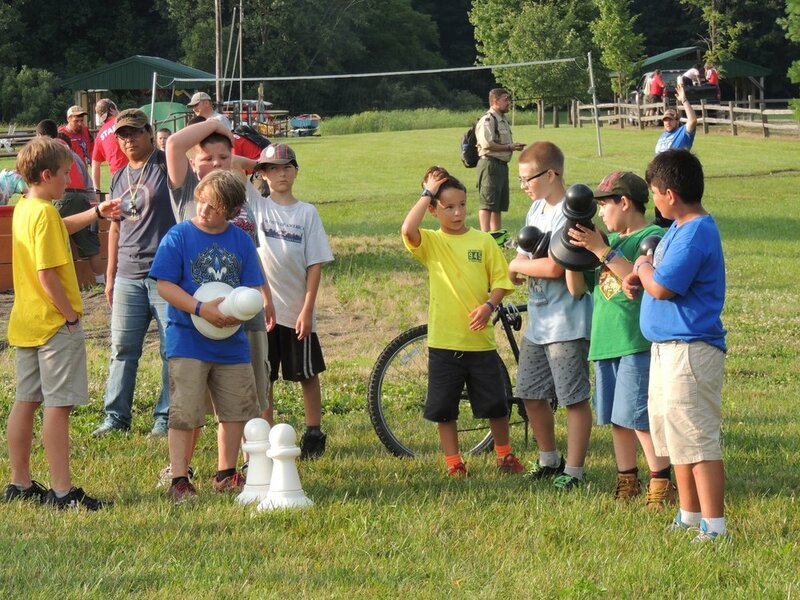 Campers will learn what it will take to be a great Scout in Scouts BSA. They'll test their bodies & minds in areas like Backcountry Science, Strength & Speed Building, Building & Engineering, & Fluid Dynamics. 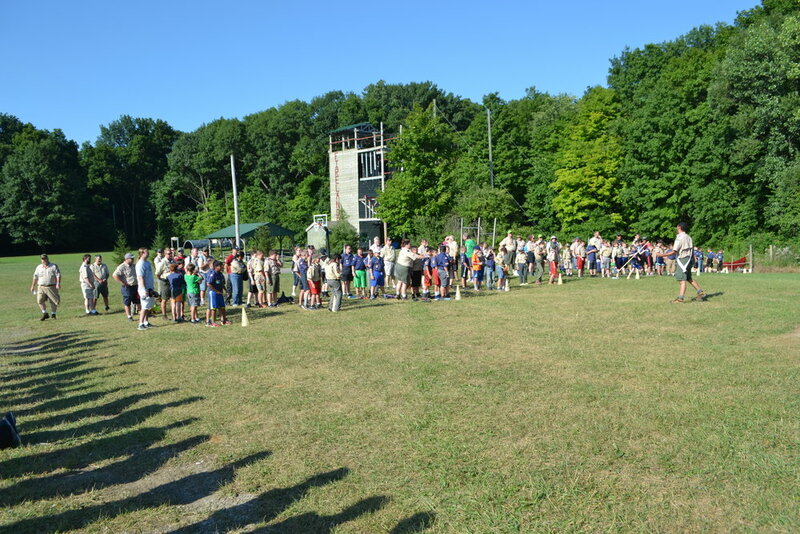 Each evening Scouts will participate in evening program around camp before heading back to their campsite where everyone stays in two-person wall tents. Tents are provided with cots and mattresses, and are on a platform off the ground. If you would prefer to sleep in your own tent, please do! Scout Skills Triads: Master the basics to be the best Scout ever! 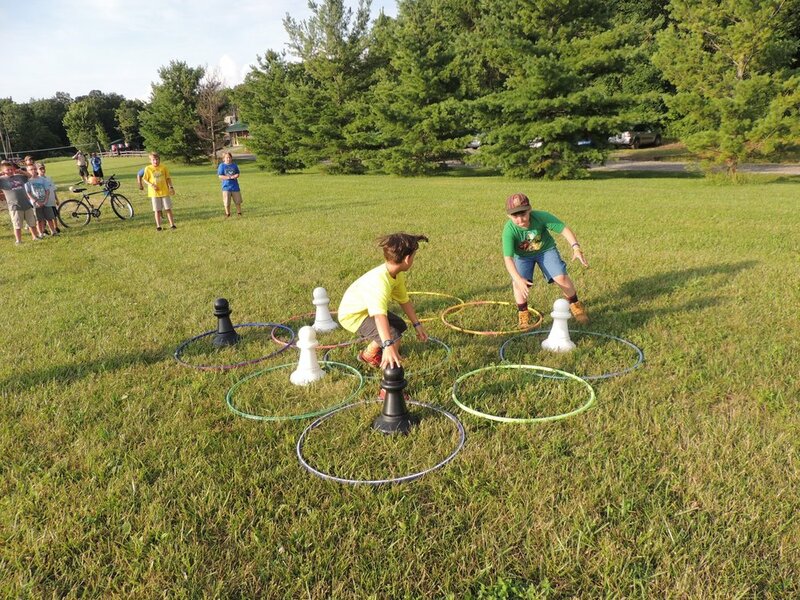 Lake Erie Council does something unique that you won't find at any other Webelos camp. We provide more than just a Cub Scout Resident experience with a bow on top. A Scout's years of being a Webelos or Arrow of Light Scout are some of the most crucial in their Scouting career. 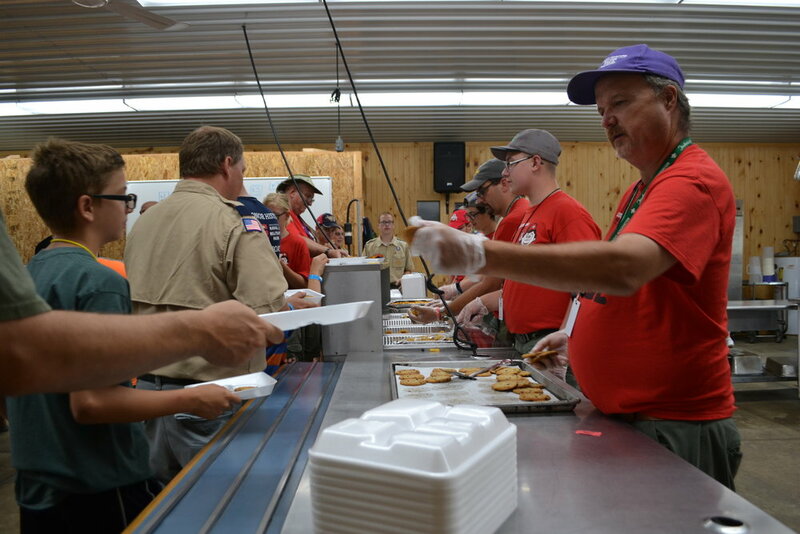 At Firelands, they get something special — a taste of what they’ll experience as a member of Scouts BSA. In the afternoon, they go through our Scout Skills Triads as a Pack before free time. These are focused lessons and activities about what new members of Scouts BSA need to know right away. 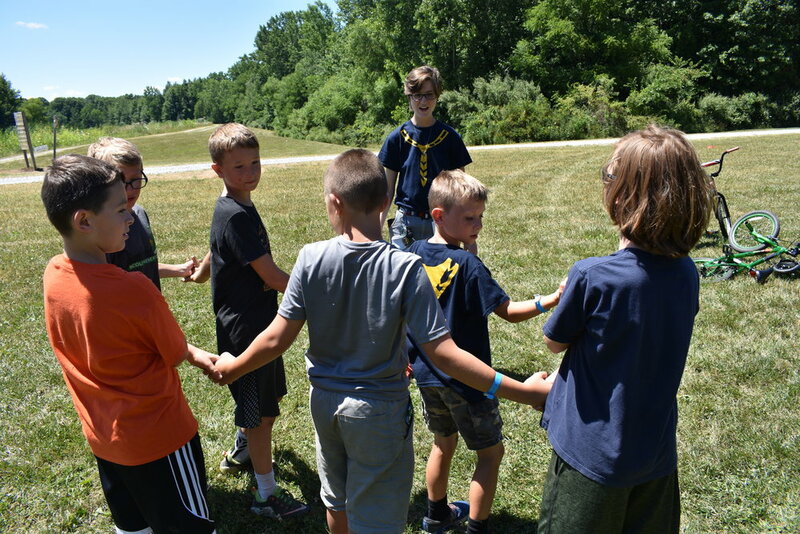 We introduce these programs so that each Scout feels comfortable about the transition, and have a leg up on skills like first aid, citizenship, and leadership. 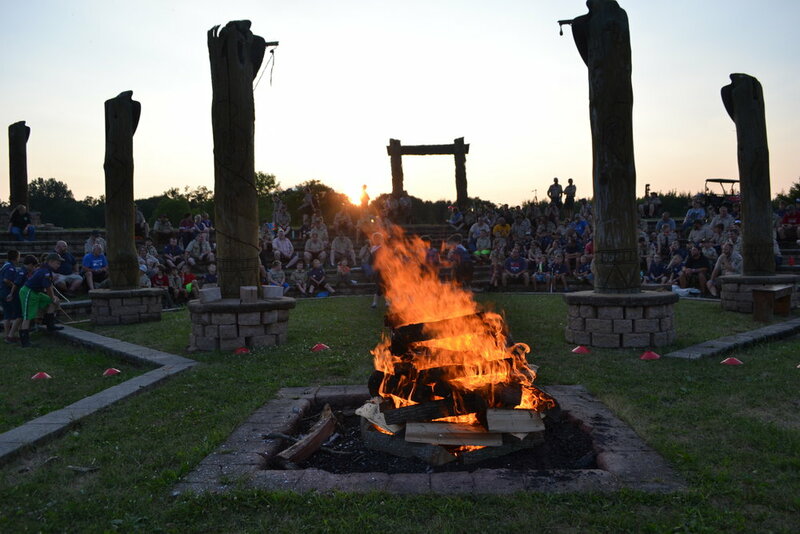 Firelands Scout Reservation adheres to the stringent National Camp Accreditation Program standards, and is assessed by an accreditation team each summer. FSR was fully accredited in 2018! Each morning, every Scout will choose from different exploration tracts and dive deep into their favorite areas of camp! A Scout knows the necessarily survival skills to get out of most any situation. 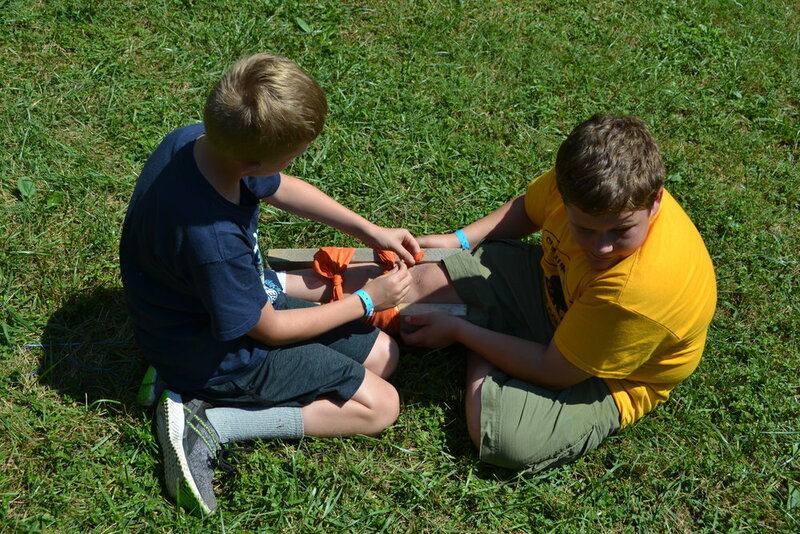 Backcountry Science will help Webelos learn some of the basics of fire building, knife handling, knots, and navigation. Mastering Backcountry Science is important for every Scout. This is all about hands-on experience. Scouts will learn about unique design techniques and then bring them to life. 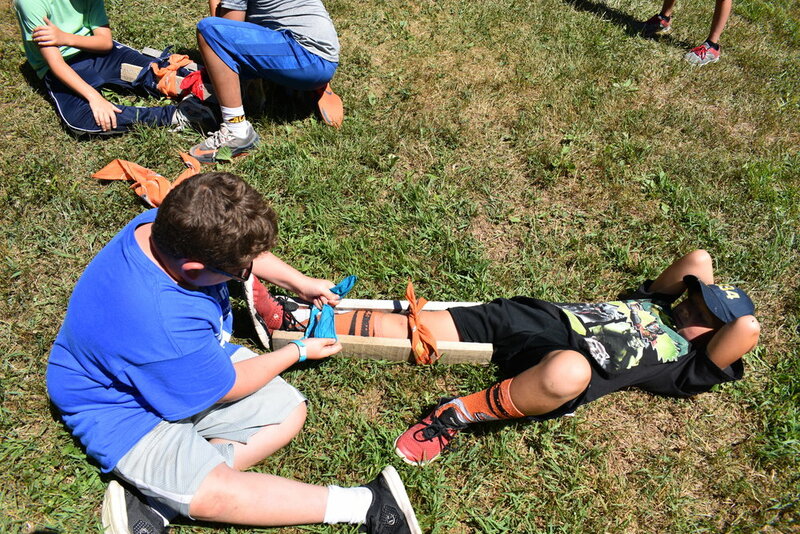 Scouts will first learn how engineering is done in the world, and will then put their designs to the test. Get ready to stretch your creativity and imagination. Our warriors are going way back this summer to discover pre-historic life! They’ll need to use all their “leave no trace” skills to avoid being detected by the creatures of the past. How do we find traces of those beasts today? Our warriors will uncover those treasures of the past. 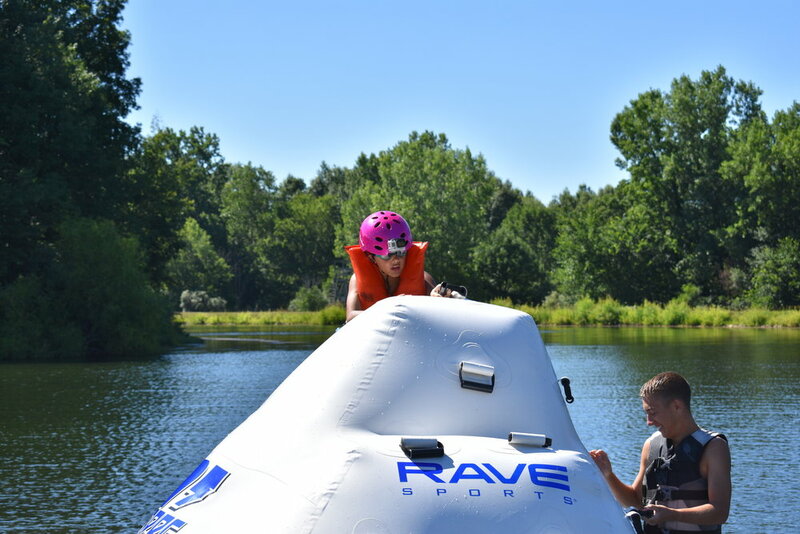 One of the most important things we learn at camp is how to be safe in the water. 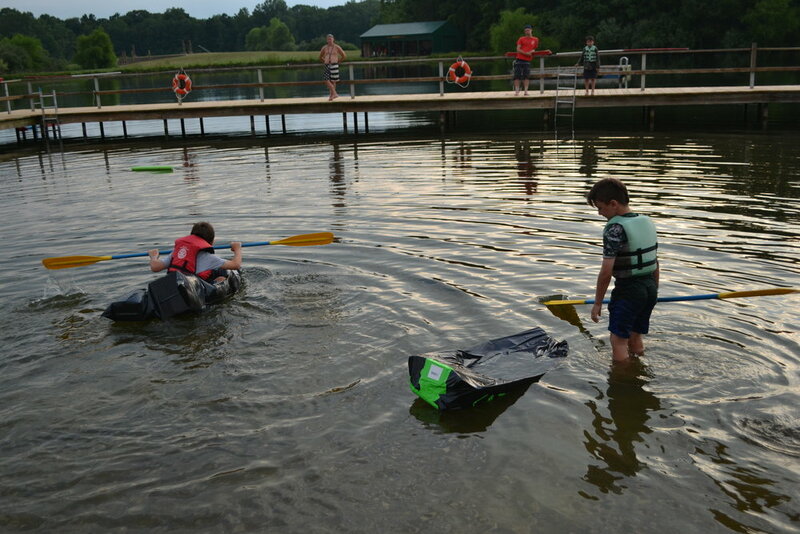 Scouts will get to learn swimming and basic rescue skills at the lake. 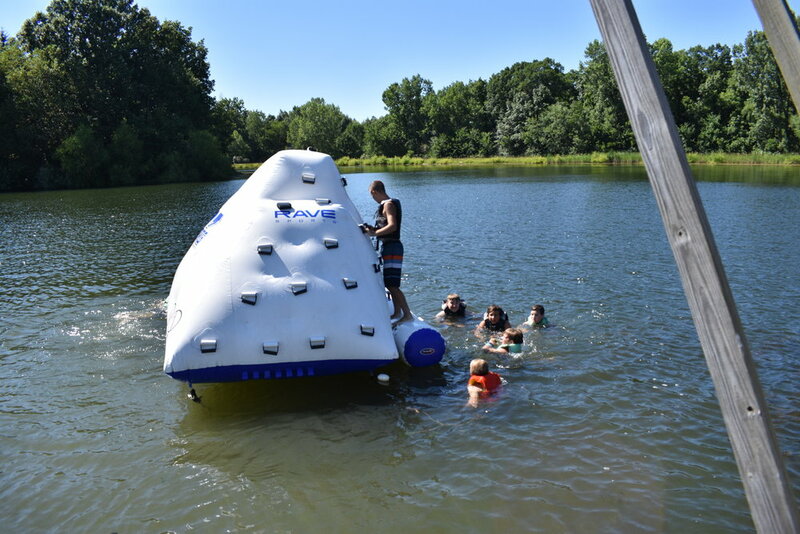 They will also learn the basics of boating and get a run at our famous Blob. “Be prepared” to get wet! Scouts today live in a world full of technology and are expected to know how to operate it all. Gadgets can be indispensable tools used to learn, teach, and explore the world. This program area features the use of cameras, smart devices, and rockets used in creative (and responsible) ways. Don't expect to be inside, however, for we live in a mobile world…which means more ways to explore! This year, Scouts can learn about the science of sound. We'll stretch our creative minds to create new instruments of our own, and perform music. No musical background? No problem! Nature shows us that almost anything can be an instrument. 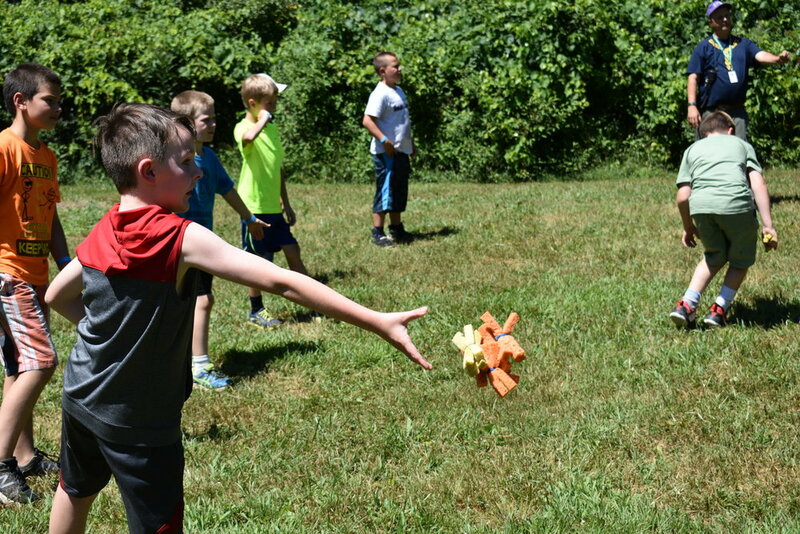 Flying projectiles is one of the most fun things we get to experience in Scouting. Learning the physics and science behind the shooting will help Scouts to understand the way things work. Scouts will first learn about these skills and then get to put them into practice when they hit the range. Scouts will shoot high-powered air rifles, or archery, and maybe even experiment with a trebuchet and paintballs. The Climbing Tower is one of Firelands' crown jewels and it's waiting for Webelos! Scouts will be challenged to test their strength in various exercises. Scouts will climb, test their sporting skills, learn to be prepared to live a healthy active life. Webelos will also learn about the importance of good nutrition. What are parents saying about camp? "Live entertainment, great food, everyone loved it"
"Songs, Order of Noodle, etc. all top-notch!" "Boys thoroughly enjoyed camp. Adults gave it a 5/5!" "Very well organized. Cannot praise staff enough." Get a Trading Post eGift Card for Camp! Part Time Adults also available! One Den Chief per Pack may also attend for free! Our Summer Camp registration platform is totally online which gives you 100% control of your registration. Under this system there are two registration periods, a “Pre-Registration” period and a regular “Registration” period. Pre-Registration Period (January 1 to February 28) For Units that register during this period a $200 deposit and an estimate of Youth & Adult attendance is required. This $200 deposit is put toward your final camp balance. Registration Period (March 1 to June 1) For Units that register during this period, the Unit will need to pay a minimum of $25 per Scout with a minimum $200 to meet the deposit, and will need to specify the number of participants (youth & adult) attending summer camp. 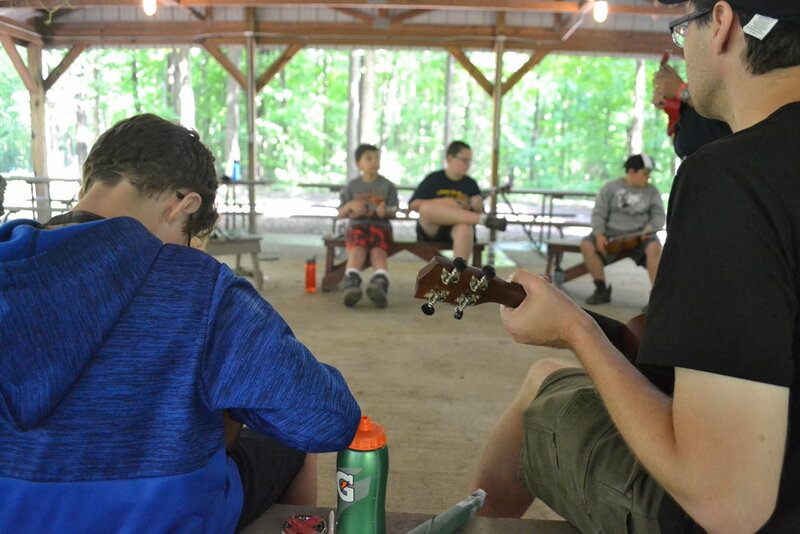 Any Unit may make a registration for any available session of Webelos Resident Camp. A $25 fee per Scout will is due at this time, and the Unit is now financially responsible for the number of participants requested. Units may add new participants (if space is available) or reduce the number of existing participants (subject to the LEC Payment & Refund Policy) until the week before their session of camp. Reducing your number of participants needs to be done by a LEC employee. Please call us at (216) 458-8904. Units may make changes to existing participants until midnight one week before their arrival at camp. Estimate Confirmation (March 1 to June 1) — Units that made their reservation during the Pre-Registration period are required to confirm their estimated numbers (based on camp availability) and the Unit will be financially responsible for each confirmed participant. A $25 payment per Scout will be due at the time of confirmation. Do not confirm a participant unless you have a committed camper. For existing reservations, the final Scout balance (after the deposit) is now due for each participant reserved to receive the early bird rate. All participant names and information are required at this time. Selection for each Scout’s morning program will become available. Some programs will have limited availability. We do not recommend registering an entire Den or Pack for the same program on the same day of camp. Each Scout should have the opportunity to explore what interests them, and to meet Scouts from other Units. Unit must finalize all participant names by this time. Full payment for all camp fees is now due, including adults. To place an order with enough time to get them before camp, all t-shirt pre-orders must be selected on your registration by June 16. 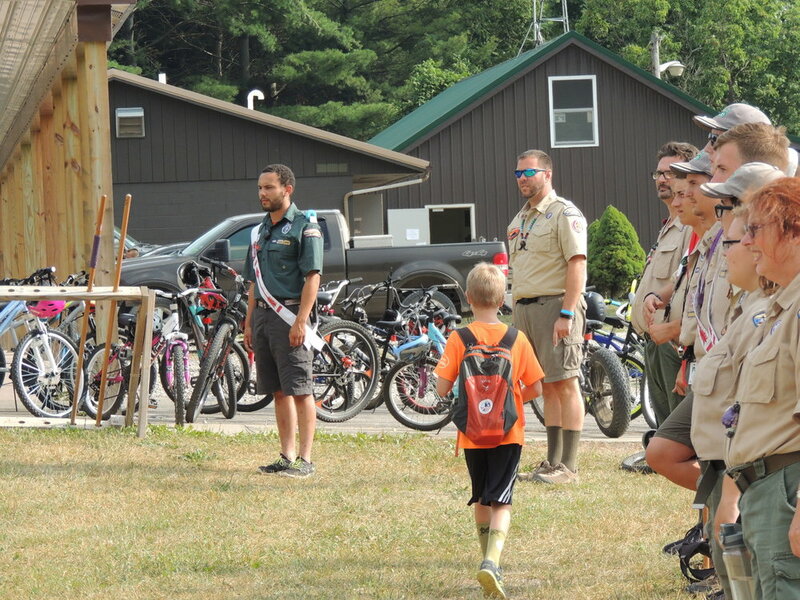 After this time, no changes will be able to be made to t-shirt selection, and additional t-shirt purchases will need to be made at the trading post during summer camp. T-shirts will be organized and ready for pick up at check-in of your session. Any person not paid in full by 11:59pm two weeks before camp will have a $25 late fee applied to their registration. Units may make changes to existing participants until midnight one week before their arrival at camp. Got a question about camp? We’ll get you an answer! Thank you! We’ll get back with you as soon as we can!